A couple of weeks ago I wrote about various ways to add images to SharePoint. 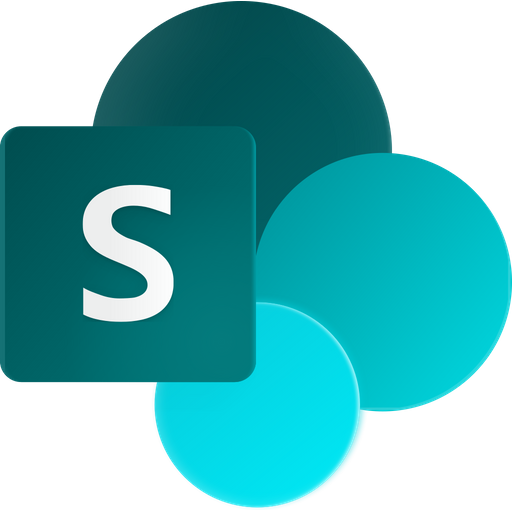 Today I want to introduce some more picture tutorials in the 'SharePoint from Scratch' series, where I show how to create so called hotspots images and add them to SharePoint. The same methods can be used for SharePoint 2013 and 2010 on-premise. An area of a picture can be linked, and if you use an image where several areas are linked to different pages, images or actions we talk about a hotspots image. Such links on an image are also called invisible hyperlinks or buttons, as you cannot see that it is a link until you hover the mouse over it. If you want to show that it is a link, add underlined text to the picture. Hotspots images cannot easily be created directly in SharePoint. Instead the best way is to create the image first and then add it to SharePoint. The easiest way is to create a hotspots image for SharePoint in PowerPoint. When the picture looks good, save the presentation to the SharePoint site where you want to add it. Then you can copy its embed code and add it to a page. With this method you only have to copy and paste. The drawback is that you get a frame that you might not like, as in the image above. To avoid the frame, you can instead create your hotspot image in Visio or SharePoint Designer 2010. 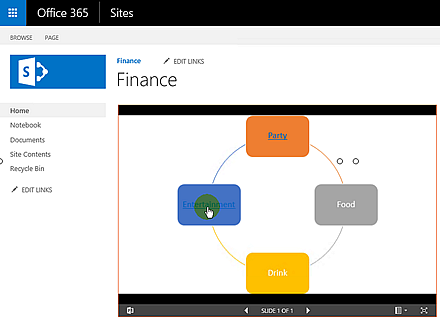 When you create a hotspots image in Visio, you save it to the SharePoint site in the same way as with the PowerPoint presentation. 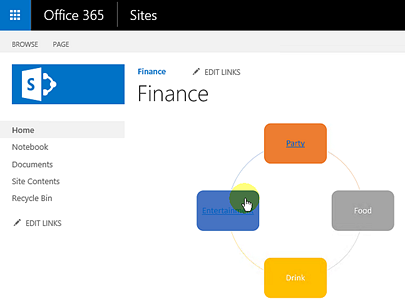 To add the Visio drawing to a page, insert the web part 'Visio Web Access' in the page and add a link to the drawing in the web part properties. Another option, that also gives a picture without a frame, is to create a hotspots image in SharePoint Designer 2010. The possibility to create hotspots images has been removed in SharePoint Designer 2013, but if you have a SharePoint Designer 2010 without updates, you can open a SharePoint Online or SharePoint 2013 page in SharePoint Designer 2010. When you use SharePoint Designer 2010, you create a new SharePoint page in SharePoint Designer, insert an image and add the hotspots image. Then you can simply copy the image code and paste it into the page you prefer.